The Westboro Montessori School is a private school for children from 1½ to 6 years of age. We operate out of two campuses, both conveniently located in the heart of the beautiful Westboro Village. At Westboro Montessori School, we employ the true AMI Montessori Method, which is recognized internationally as the official Montessori Method established by Dr. Maria Montessori in the very early 1900s. 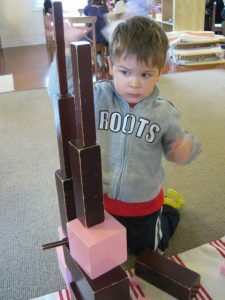 This includes the use of the proper learning apparatuses, and the exploratory style employed by the AMI Montessori Method. Not all schools that employ the Montessori name are real Montessori Schools; thus the fact that Westboro Montessori School is a true Montessori School, is important knowledge for any child’s parent or guardian.